This is a project I'm working on and its going to be covered in ebony and bone when finished. Prod and cranequin is made by me. Looks good, any idea how strong the prod is? Any details you could share with us on the bow string? What a piece of work ! It would be nice to see the details of the cranequin, so far so great! The prod is at about 600 to 1000 lb ( don't have a scale that takes that much). Prod was made from a leaf spring with forged ends. String is artificial sinew and is 13 mm thick with reinforced loops and knotted linen servings. Will try to take some pictures of the cranequin later. More pictures of the cranequin, decided to change the top cover into a more ornate one. still some fine tweaking on the gears left, but it works alright. Did you make the crank pinion by welding the "leaves" to the shaft? 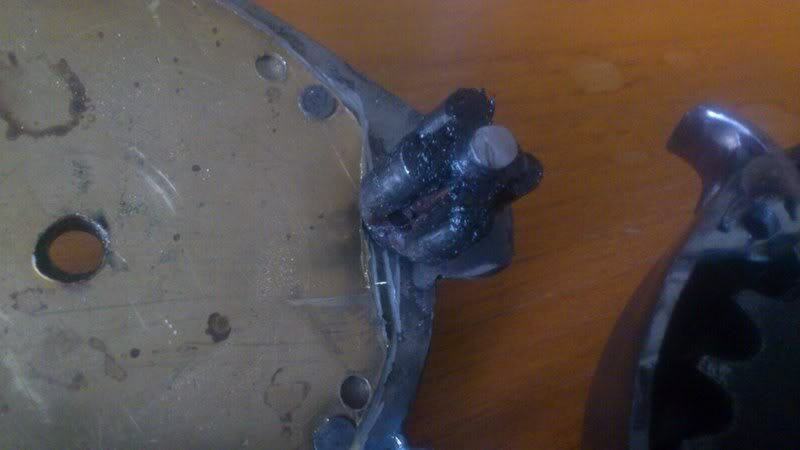 Ran into a problem while fitting the trigger system. 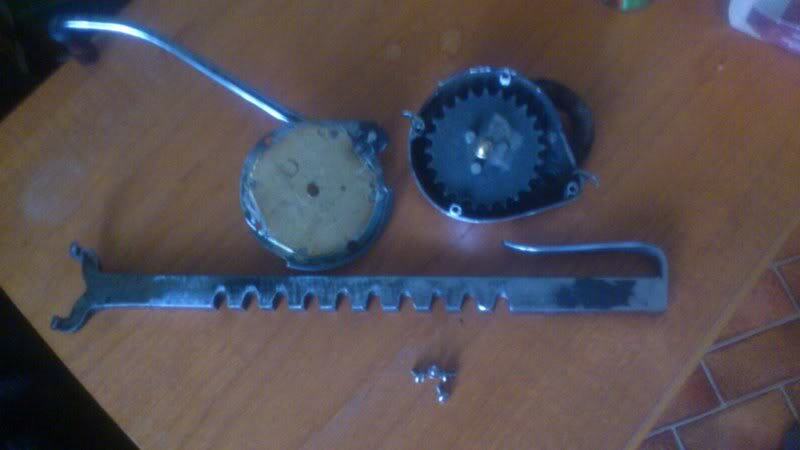 It turns out the cranequin is in the way of the hole for resetting the trigger, any sugestions? Just ordered the ebony veneers and the bone for this one too, cant wait to finish it. 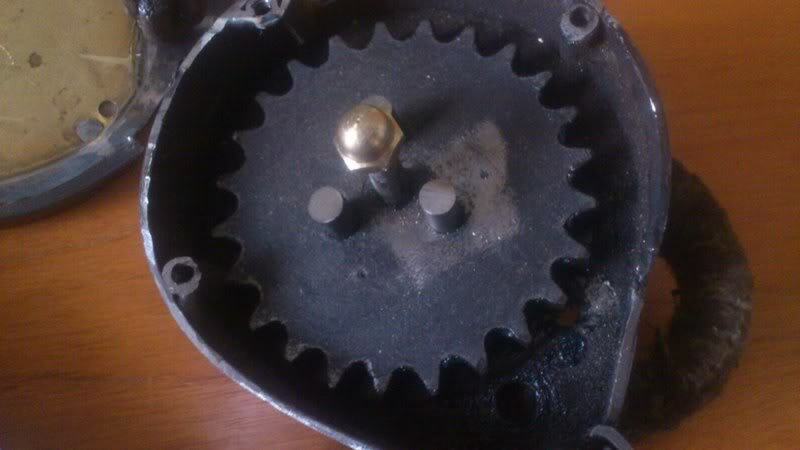 Did you make the main gear sprocket or did you make use of an existing one.............. if one is available I say use it. By the way, is it customary to remove the cranquin before firing? ( probably comes under the heading of stupid queations) But I don't know. 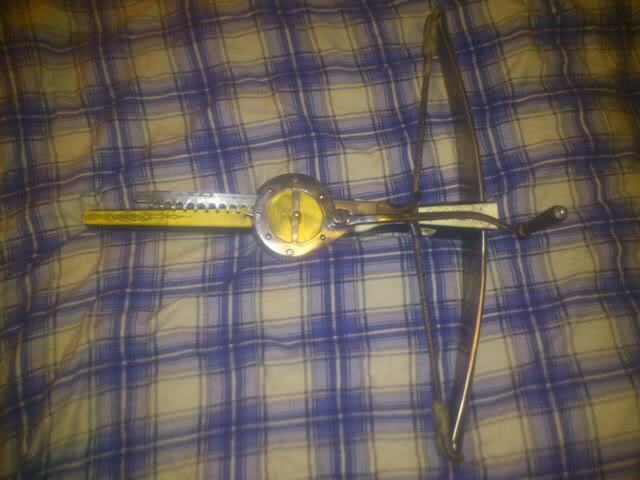 Normally the cranequin is just for spanning purpose on the crossbow and shouldnt be in the way for resetting the trigger. I guess you probably want to reset the trigger when the cranequin lifts the string into the roller nut and not before putting the cranequin on? If you can´t reset it before spanning it would probably be a mechanism design problem. you should be able to prepare everything before spanning. But i can imagine where the problem with that is. perhaps you cant lift the string over the secured nut. 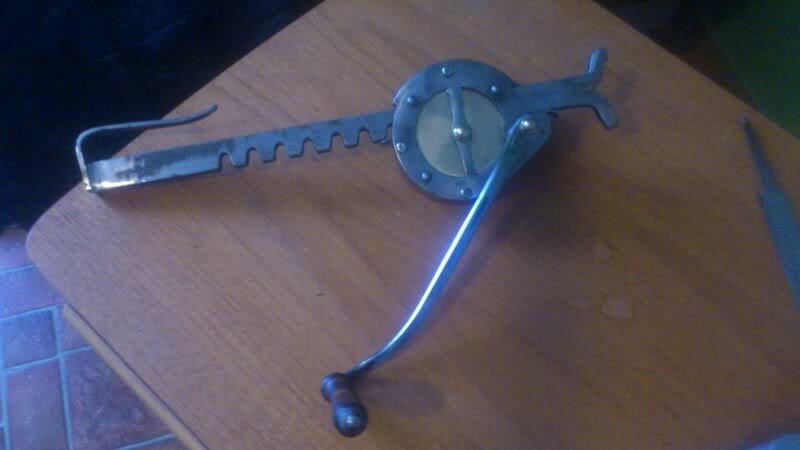 What kind of trigger mechanism are you going to use? 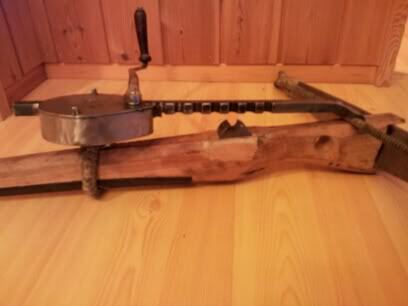 lever or trigger? How many axles? Very nice work, especially the cranequin. Your string looks like a gothic knot, is it one? I feel confident in making the ratchet bar, the bit that has always concerned me was making the cogs/sprockets - i'm going to have a look at using an old bike sprocket and copy your welded crank pinion. Just need to brush up those welding skills... currently spend more time dressing the welds with a grinder than actually welding!! Very nice bow, but why would you put a nylon string on it? Fake sinew is really stretchy stuff!!! I used the fake sinew because it was the only thing available at the time, it don't stretch that bad actually. A bit of progress on the build. The tiller is now completely covered in ebony, and most of the bone plates is in place, i still have to install the internal parts and a bit more metalwork. 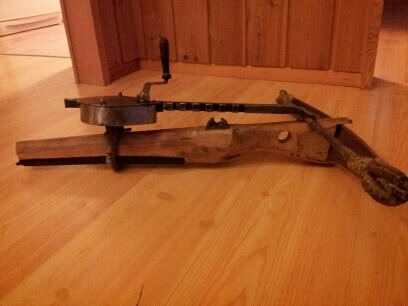 That is one verry verry beautifull crossbow! 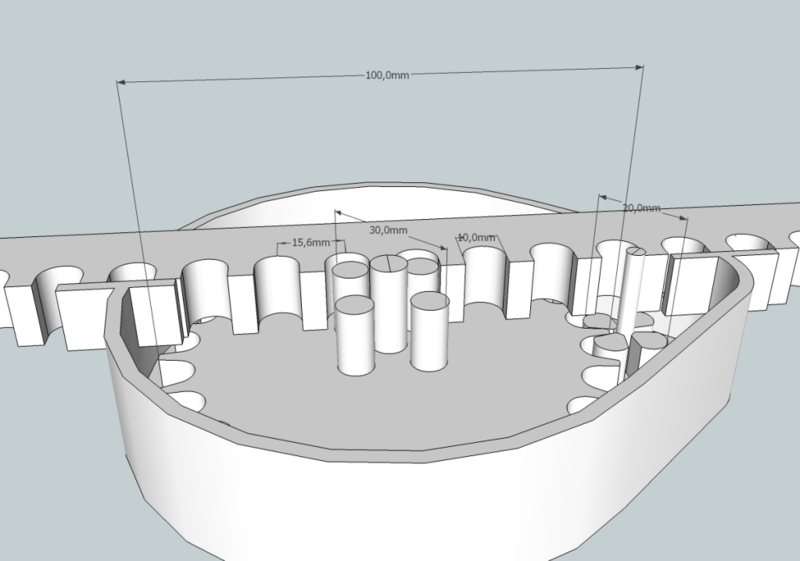 Did u make the cranequin from a design? And would u be willing to share it with me? I love it! 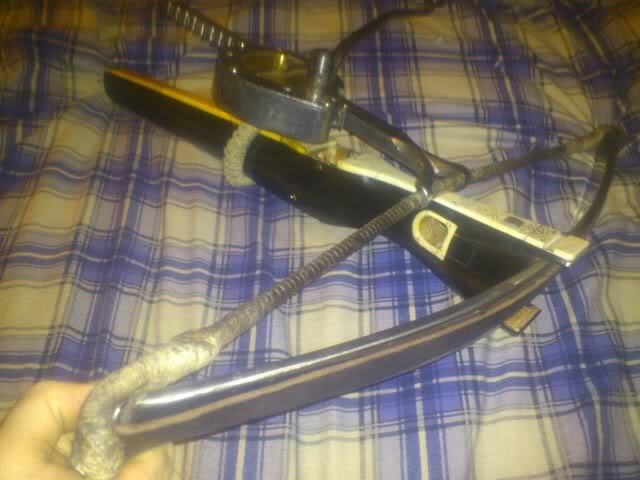 The cranequin was designed as i built it, but it was not that hard to make. i can try to make some plans for it if you want to. How much does the cranequin weigh ? Would please share your plan idea with the forum ? Your project shows very well that you have acquired a good many skills and put them to very good use ! 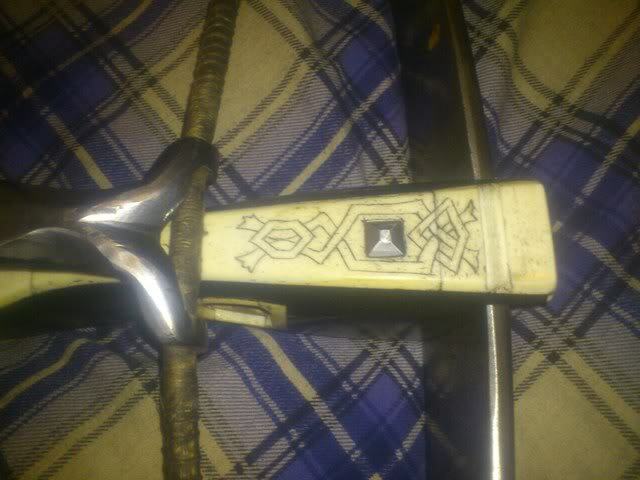 The design on the bone work is really nice and likewise with all the other details such as lining the whole for the prod lashing with bone ......... over the TOP ! Lien93 wrote: The cranequin was designed as i built it, but it was not that hard to make. i can try to make some plans for it if you want to. If u want to that would be great! I could probably make one like u did but plans make it so much more easy! If anyone else has plans? That would save u the trouble! The Payne- Gallwey book from pages 131 to 144 has some pretty good info and diagrams but no measurements on the cranequin devices , hopefully might be helpful. 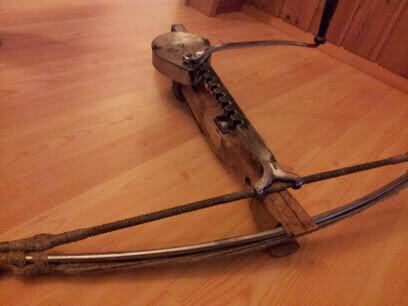 Fabulous crossbow! Is everybody on this forum some kind of genius artisan?